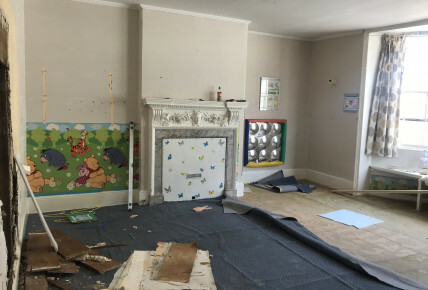 York House Day Nursery Salisbury - Look at the transformation! 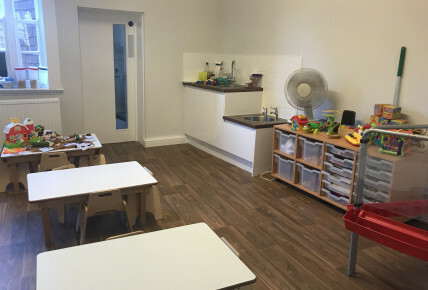 It took 3/4 weeks to transform the two old baby and toddler rooms into one fabulous inviting room. 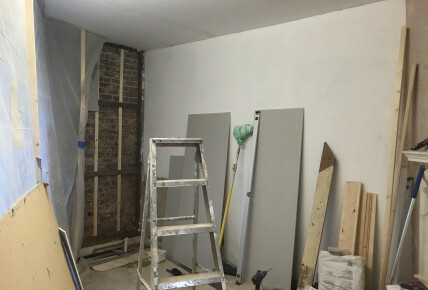 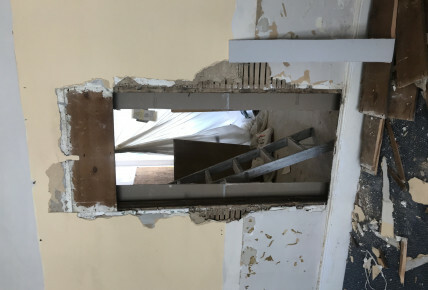 We exposed a door frame during the start of the works to open up the two rooms which has made the rooms airy and bright. 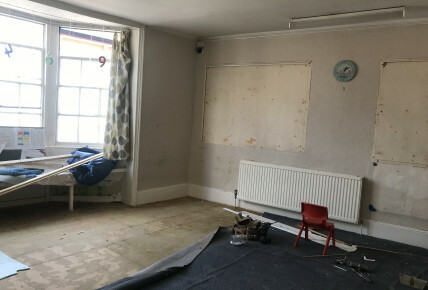 The room has been freshened up with newly painted walls, new vinyl flooring and new sink areas for both staff and children. 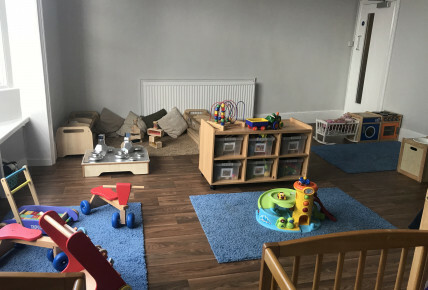 The Babies and Toddlers have recently moved back into the room and cannot wait to get stuck in with some fun filled activities.